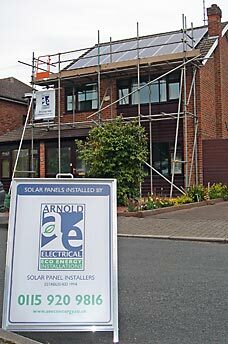 Mr & Mrs R had a 2.66kWp solar array fitted to their South West facing roof in September 2011 as they felt this was a good form of investment. 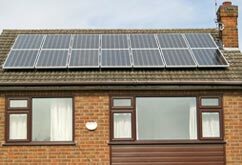 They started receiving the Government Feed In Tariff (FIT) at a rate of 43.3p/kWh for the generation tariff and 3p/kWh for the export tariff, deem 50% of the amount of electricity generated for domestic properties. The payback calculation for this system gives an approximate generation annual income of £946.11 for the first year. The system gives a total income and savings of approximately £1,131.82. They will receive guaranteed payments from the Government FIT scheme for 25 years, plus they will be adjusted for inflation using the Retail Price Index. Over the next 25 years Mr & Mrs R can expect combined income and savings of around £34,900.